As our field season winds down for the summer, the days are literally growing shorter! Week five was a short week and, between our Monday recovery day after Patchtown Days and our Friday holiday in observance of the Fourth of July, we only spent 3 days out at Eckley! As it follows, then, this will be a short update – so read on! Both of our sites are now done being excavated! Despite only spending three days in the field this week, Dolly and Mikaela managed to finish our last two units (one in the basement of the structure and the other located just west of the structure) at House Lot #38/40 and a last minute push to finish shovel tests at House Lot #34/36 succeeded in finishing up the last of the digging for the year. 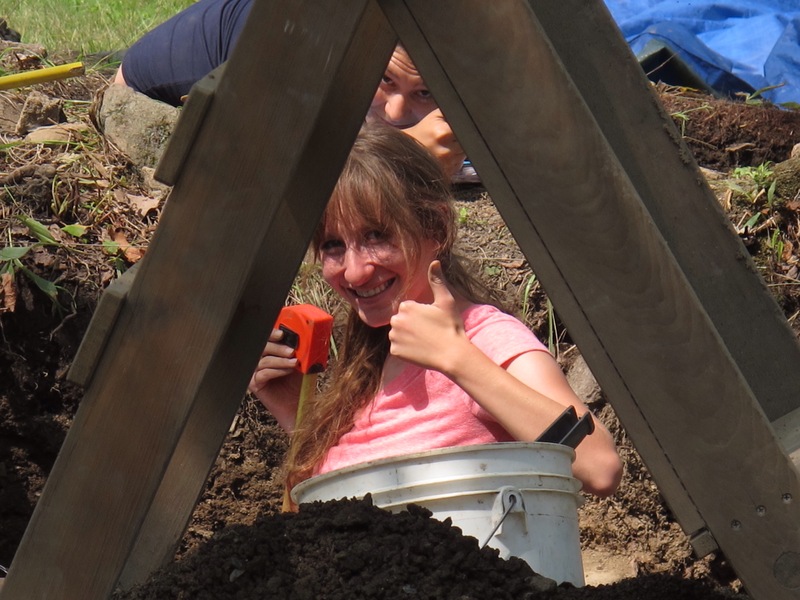 While some additional mapping and measuring will be taking place this week (as well as back filling everything we’ve just finished excavating — don’t tell the students), we can finally finish our field paper work and focus almost exclusively on lab work for the last week of our adventure out here at Eckley! I couldn’t be more proud of the incredible work these girls (and Aaron) have achieved this summer and I hope they recognize how far they’ve come in these five short weeks! This week we also had the pleasure of hosting Dr. Linebaugh and Claire Linebaugh. Dr. Linebaugh is a professor in the University of Maryland’s School of Architecture, Planning and Preservation, and the area chair of it’s Historic Preservation Program. Dr. Linebaugh had an opportunity to view some of the items we’ve been finding as well as offer his interpretations of the standing stone foundation at House Lot #38/40. Dr. Linebaugh has given us some exciting avenues for exploration in the future and we hope to follow through on those ideas! Thursday was our last day with Stephanie B., our volunteer from the last three weeks. 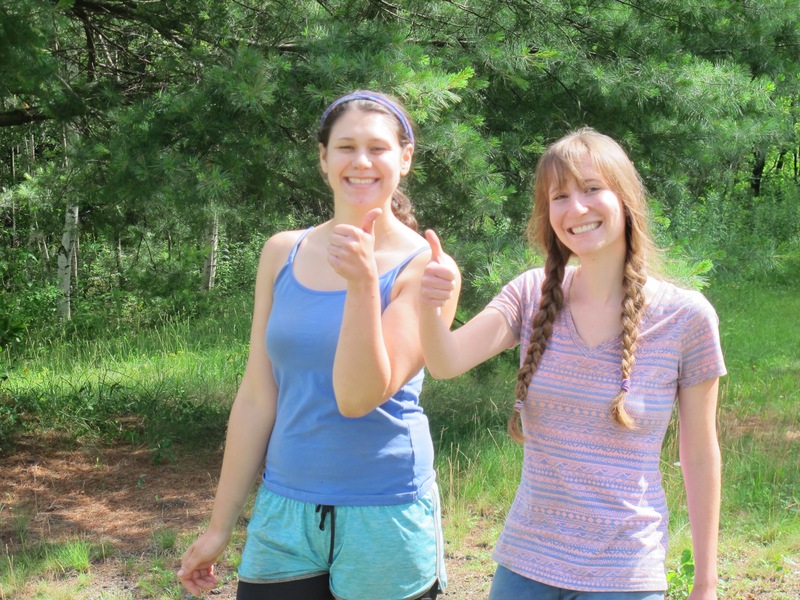 Stephanie (and Mitch) have been a fantastic addition to our crew and we will miss them sorely this last week of field school, but we sincerely look forward to the possibility of having them join us out at Eckley next summer! We have also had a unique addition to our crew over the last few weeks, but as her presence has become more and more common, it might be time to introduce her. Maggie the Lab Cat has adopted the Eckley Field School and now regularly stops by at 9:00 sharp every morning to say hello, inspect the lab, and receive some love and, occasionally, kitty treats. While we would love to give Maggie a home back in College Park, we know her home is here in Eckley, where she keeps the residents and staff in line between naps in the sun. Under the expert guidance of Megan S., the lab continues to move at a breakneck pace! 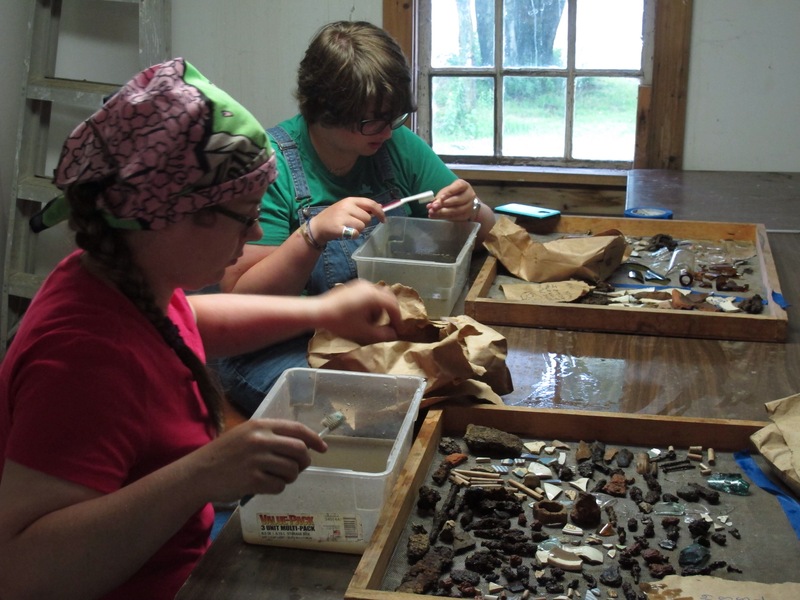 While I will have more concrete numbers of our progress next week, we currently have about 33% of our artifacts catalogued, 50% labeled, and approximately 100% washed from the House Lot #38/40 site! Those are incredible numbers considering Megan has only been with us for two weeks! I look forward to reporting our exact progress for the summer at the end of next week. Incredible things continue to come out of the ground here at Eckley! While our excavations into the basement have not yielded much of the early material culture that we were originally hoping for, it is yielding a fascinating supply of other items, including fragments of porcelain doll faces, pieces of broken bottles made as close as Freeland, Pennsylvania, and as far away as Boston, Massachusetts, and other small insights into every day life in Northeastern Pennsylvania coal company patchtowns. 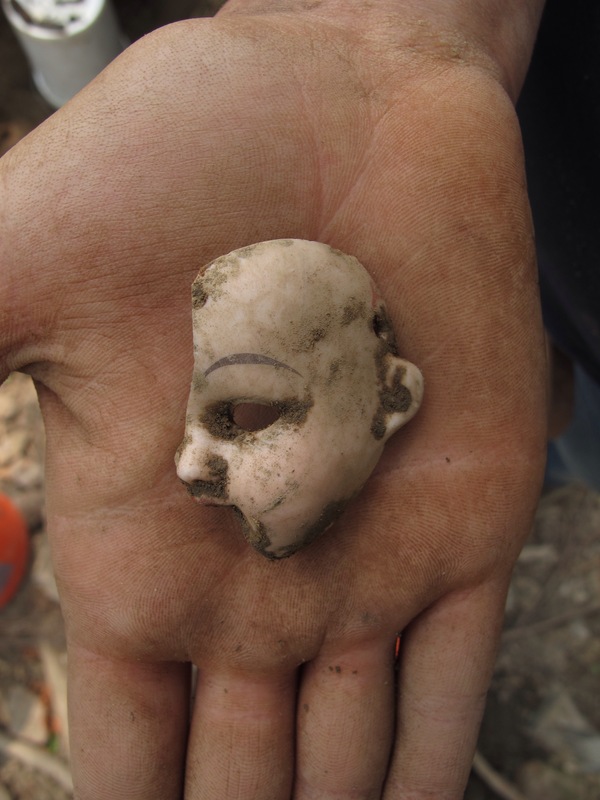 I look forward to publishing the report on our work, complete with pictures, so that those who have not yet had the chance to see these incredible finds in person can still get to enjoy them.